Bid now on four one-of-a-kind dresses inspired by the style and grace of future First Lady Michelle Obama. 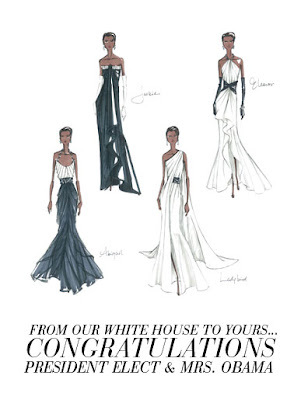 Designed and created by White House Black Market in celebration of the Presidential Inauguration, each dress will arrive in time to wear during the inaugural events on January 20. AUCTION ENDS THURSDAY, JANUARY 15.